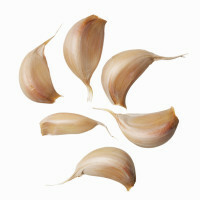 Home » Nutrition » Healthy Eating » Garlic: Roast it! Pretty much every cuisine around the world has dishes that involve garlic. So why have so many cultures embraced this versatile cooking ingredient? It smells so good while cooking, it makes everything taste better and it is super nutritious! Garlic gives the ‘yum factor’ to many dishes… but have you ever tried roasting it? Wrap unpeeled heads of garlic sprinkled with olive oil in a tin foil bundle and roast in a 350-degree oven for 30-40 minutes until soft and deliciously sweet. You can serve it alongside roasted vegetables, beans, poultry or meat or as a delicious spread for a toasty whole-grain bread. When using minced garlic to obtain the maximum health benefits, after peeling and crushing it, let it sit for 10-15 minutes before cooking with it, this allows the health promoting phytochemical, alliicin, to form! The Super Crew calls them fight-o-chemicals because they fight off disease. Don’t forget to get the kids involved in cooking! They can smell the garlic before and after it is roasted – discuss how it changed, sprinkle the olive oil over the garlic, wrap up the tin foil bundle and set the timer. Garlic is one of Super Crew kid Carlos’ favorite food. Comment on Garlic: Roast it!